Paradise Wants to Help People Move Back, But Is It Safe? 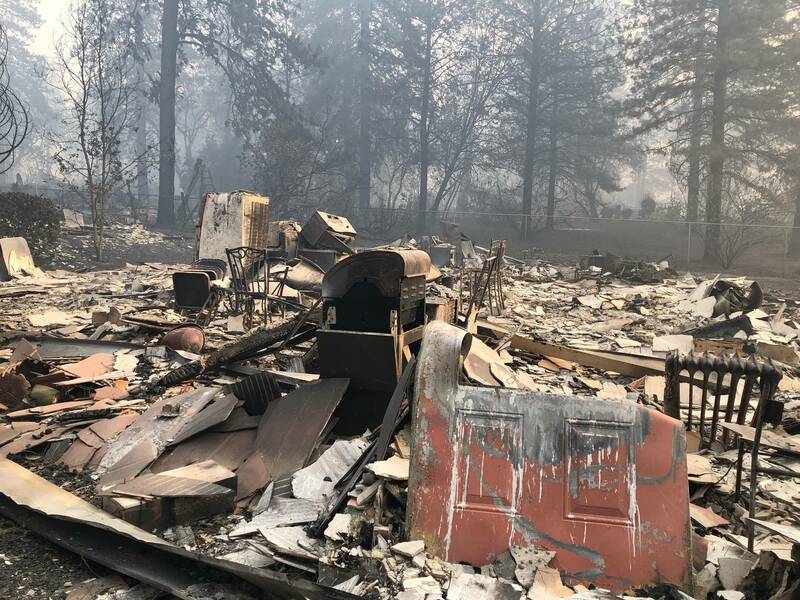 After almost entirely burning to the ground in November's Camp Fire, the town of Paradise is trying to accelerate repopulation — but there are potential health concerns about people moving back into a burn area. Hazardous waste removal is almost halfway done, and debris removal is set to begin later this month. It could take up to a year to clear everyone's properties. But for people living in surviving homes and in RVs, proximity to that debris is potentially dangerous. Debris can contain arsenic, asbestos and lead, which can "aggravate asthma and respiratory problems," according to the California Department of Public Health. "We don't recommend [living in these areas] at all," said Butte County Public Health Department spokeswoman Lisa Almaguer. Contaminants can also get into the water supply. The Paradise Irrigation District is advising residents to use only bottled water for cooking and bathing while it tests its water. "I'm more concerned about the toxins left behind that many people don't understand ... was in these people's homes that burned," said Ray Holguin, who lives in neighboring Magalia and lived in Paradise for around 20 years. But Paradise Mayor Jody Jones said the town is responding to the needs of the residents. "People want to move back," Jones said. "We really don't have a lot of information about the debris and its health impacts. We're trying to keep people out of the debris footprint, and they know that they're up there at their own risk." But repopulating a town with almost no buildings left standing can be tricky. "You kind of have a chicken-and-egg issue with businesses reopening and population," Jones said. "People don't want to live there unless there's businesses reopening. Businesses can't stay open unless people are up there to patronize them, so that they are making money. So the two have to go hand in hand." To help fix the "chicken-and-egg issue," the town recently passed an ordinance allowing residents to park RVs and trailers on properties of at least two-thirds of an acre before debris removal begins. The hope is that by allowing RVs and trailers on larger lots, it will keep those staying in Paradise away from potentially dangerous debris. After debris removal, RVs and trailers will be allowed on all residential properties.